Unspoken who is now called Woodford or WOODY for short was being fostered by Jamal and Cindi who live south of Florence. They have adopted several of GAGC greyhounds, and unfortunately recently lost Morgan, Foxy and him were buddies. Ailee has done well with the dogs and they respect her as well. Foxy was missing a 4 legged friend so when Unspoken came to town they asked to foster him. HAHA Foster fail happened less than a week later. 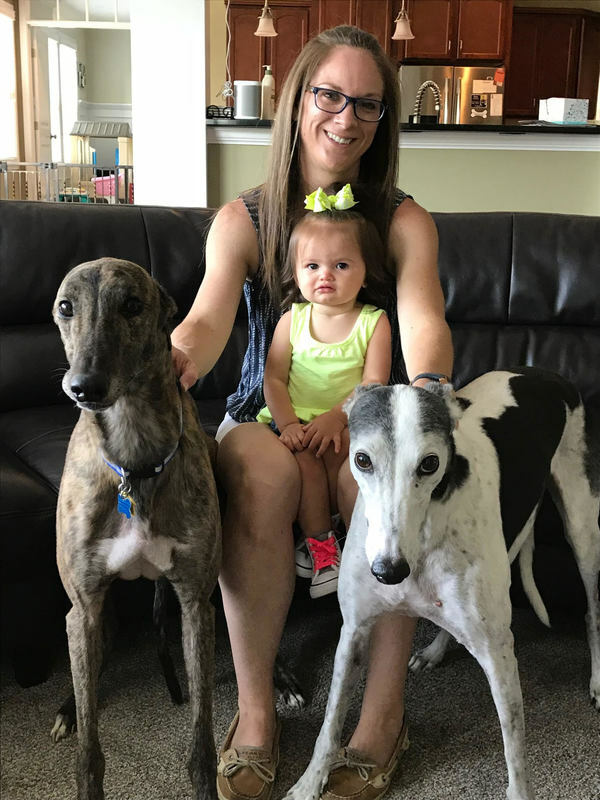 He is doing greyt in his forever and a VERY lucky boy to have found this loving family!